Facing Demons Quest: Where Is The Arcane Bomb? 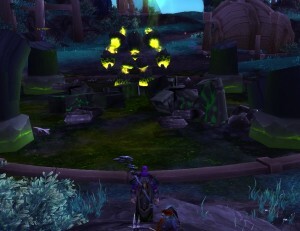 You are here: Home / WoW / How-To / Facing Demons Quest: Where Is The Arcane Bomb? This is in relation to the Facing Demons quest on Socrethar’s Rise. I spent ages looking through my bags for the damn arcane bomb mentioned in the quest description. Except you’re not given an Arcane Bomb. All you need to do is walk into the dead centre of the Demon Gate and you can click on it to destroy it. If you’re off centre it won’t let you.